Don't worry: They'll work on your Instant Pot too. 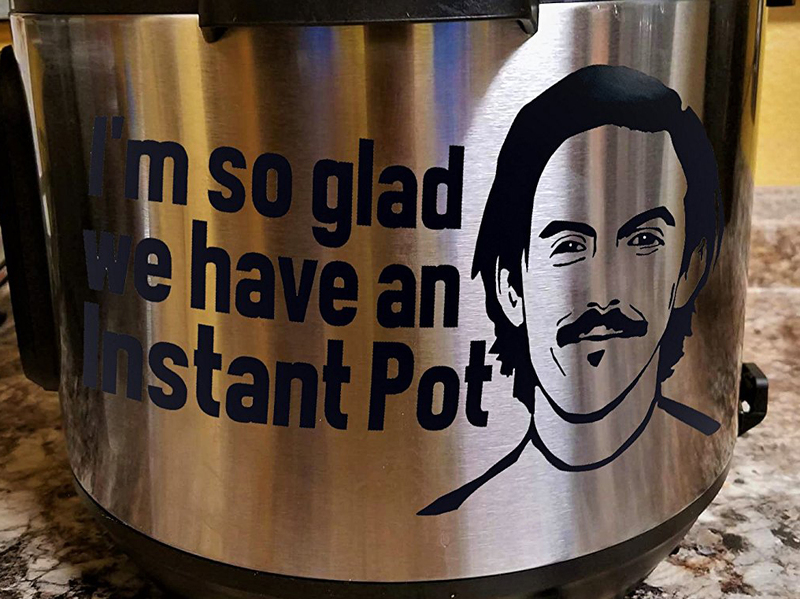 If, as you watched This Is Us' controversial Crock-Pot twist unfurl on your television in real time and thought, "this is actually us," then you just might be the target audience for the Jack Pearson-themed Crock-Pot decals currently populating Amazon. Well, if you still own your Crock-Pot anyway, because, for the uninitiated, it was a fire started by the piece of equipment that caused his untimely death—though, it should be noted, such an accident is extremely unlikely to happen in real life. The decals, which appear to fit equally well on an Instant pot run, for the record, run the gamut. First, there's the simple "Unplug Me… <3 Jack" Decal ($6), which could be taken a few ways, but mainly serves as a reminder to make sure to take extra cautions in order to avoid the (again, not realistic!) fate that set in motion a hit NBC drama starring Milo Ventimiglia, Mandy Moore, and Sterling K. Brown whose every tear-wrenching twist seems to sweep the nation anew. But on the other end of the spectrum, there are a few offerings that include both an image of Pearson (Ventimiglia) and a more ironic message. If you want the most direct version, there's the "Don't forget to un-plug me…" ($8) option, but perhaps the most intense of all is one that, beside Jack's smiling face, simply says, "I'm so glad we have an Instant Pot" ($8). Having fun yet? Lucky for you, This Is Us Crock-Pot and Instant Pot decals are really just the beginning of a whole slew of ways to decorate your trusty appliances. 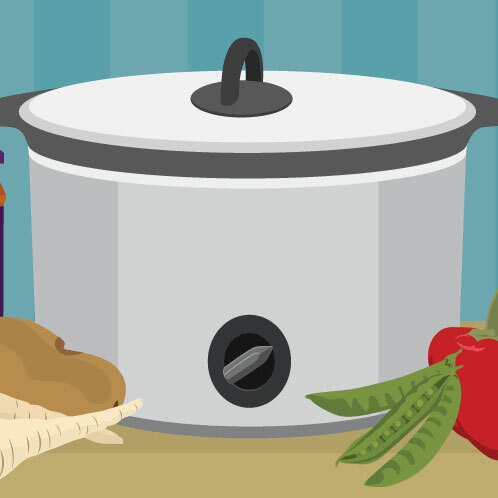 From the excellent Game of Thrones pun-bearing "Dinner Is Coming" ($8), to the Harry Potter "Instant Potter" ($7), to a simpler Star Wars option (8$), there's no lack of Crock-Pot and Instant Pot décor out there waiting to spruce up your kitchen. Why haven't we been doing this all along?